Pearse Celtic's captain Gavin Pender (left) with Park United's captain William O'Brien accompanied by referee John Lyne before Saturday's AOH Cup semi-final first leg at the CIT Grounds. AUL 2A Hibernians v Corkbeg, Shanbally, A.McDonagh, St. John Boscos v Glanworth Utd, Water rock Pk, E.Mullins, Churchvilla v Leeview Ath, Kilmoy, Cloyne, F.O’Neill. AUL 2: Ballinhassig v Ard Na Laoi , Gortnaclough, B.Buckley, Blackpool Celtic v City Wanderers, St Aidens Community, School, G.Duffy. AUL 3: Hibernians v Hillington, Shanbally, T.McDonagh, UCC v St John Boscos, The Farm 3.00pm, J.O’Reilly. AUL 3A: Carrigtwohill v Glounthaune, Ballyadam Pk, B.Dowling. 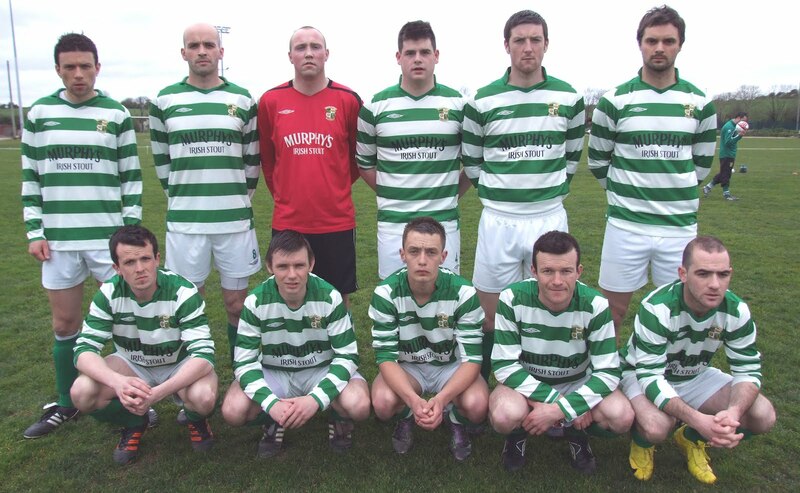 Premier A League: Castleview v Springfield, O’ Sullivan Pk, J.Lyne. Thursday 12 th April Ko. 6.30pm SharpAUL 1: Fairview v Knockraha, Monard, Ray Murphy, Leeside v Glen Celtic, Little Island, A.O’Connell. AUL 1A: Rathcoole Rovers v Millstreet Celtic, Rathcoole, J.Lyne, Grangevale v Douglas Hall, Grangevale Pk, T.Callanan, Glenthorn Celtic v Greenmount Rangers, St Aidens Community, School, D.Donovan, Dunbar Cetic v UCC, Murphys Farm, B.Buckley, Glenvale v Innishvilla, Regional Pk, S.Barry, Richmond v Donoughmore Ath, Garrandarragh Wilton, M.O’Farrell. AUL 2: De Courcey Albion v Ballinhassig, Eliy Lily, A.McDonagh, Casement Celtic v Ballincollig, Casement Pk, E.Mullins, Waterloo v Killowen, Grenagh Sports Field, J.Harte. MyCork Polish Association organizes introductory event to upcoming EURO2012 in Poland and Ukraine, focused on tourism, polish culture and the Cities where the EURO 2012 games will take place. All provided information will be useful for football fans as well as tourists. During the event we offer kids’ corner, traditional polish food and good fun. All interested are welcome as this is admission free event. During the event you will have the opportunity to make a picture with Slavek & Slavko - the official mascots of EURO 2012. Anyone interested, can you please contact Michael. My name is Micheál Monahan and am playing football with a club calledWesthill F.C. in Aberdeen, Scotland. I previouly played with Postal inthe AUL.Wondering if you could assist me as Westhill would like to arrange afriendly against a Cork side in July. We would like to arrange afriendly for Saturday 7th of July and if not Saturday 14th July (oreven late June) as the Aberdeen Amateur football season begins 4thAugust. We are currently looking at flights and accomodation but would like tohave a friendly set in stone prior to booking. Ideally we would liketo play against a team who would have the facilities of a dressingroom & showers as otherwise the team would have to travel back to thehotel for showers!Would really appreciate your help in arranging this. Is it possible toput an advertup on the AUL website to see if there is any interest. Would you knowof any club who would be keen for such a fixture? My number is +44 7530641623. I can give you a call to further discuss? Studenty.me is a growing online community by students for students across Ireland and Northern Ireland. A recent post: Why football should have a transfer window for managers. For this and more interestiunt football posts, click here. 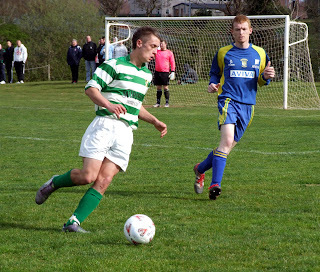 GLEN CELTIC B are looking for a friendly next Saturday - home or away. If interested, please ring Patrick at 085 2756055. So, please include them as such if you are entering. GRATTAN UNITED are looking for a friendly this coming Saturday, 30th March - 3pm kick-off. FAI Umbro Youths Cup quarter-final: Ringmahon Rangers 2 Shelbourne 0. Daly Industrial Supplies Youths Premier League: Innishvilla 2 Leeds 1, Douglas Hall 1 College Corinthians 6, Ballincollig 4 Springfield Ramblers 0. Daly Industrial Supplies Youths League 1A: Everton v Buttevant, Riverstown 5 Mallow United 2, Passage 2 St Mary’s 1. Daly Industrial Supplies U17 League 1: Coachford 3 Macroom 0. Daly Industrial Supplies U17 League 1A: Wilton United 3 Churchvilla 0. Daly Industrial Supplies U17 League 1: Bandon 0 Blarney United 0, Richmond 0 Youghal United 3, Castlebridge Celtic 2 Ringmahon Rangers 1. Daly Industrial Supplies U17 League 1A: Carrigaline United B 1 Everton 2, Crosshaven 1 Mallow United 1, Avondale United B 1 Kinsale 0. Daly Industrial Supplies U19 Premier League: Castleview w/o Ballincollig scr, Temple United 4 Greenwood 3. Daly Industrial Supplies U19 Cup second round: Avondale United 0 Everton 1. Daly Industrial Supplies U19 Cup quarter-final: Strand United 2 Blarney United 3. AUL RESULTS (COMPLETE)City Challenge Cup Quarter Final: Glenthorn Celtic 1 Crescent Ath 1 (Glenthorn won 4-3 on pens aet); Lakewood Ath 0 Casement Celtic 1; Glen Celtic A 1Village Utd 1 (Glen won 8-7 on pens aet). City Challenge Cup 3rd Round: Douglas Hall 1 Hillington 0. B 5 Rathcoole Rovers B 2. 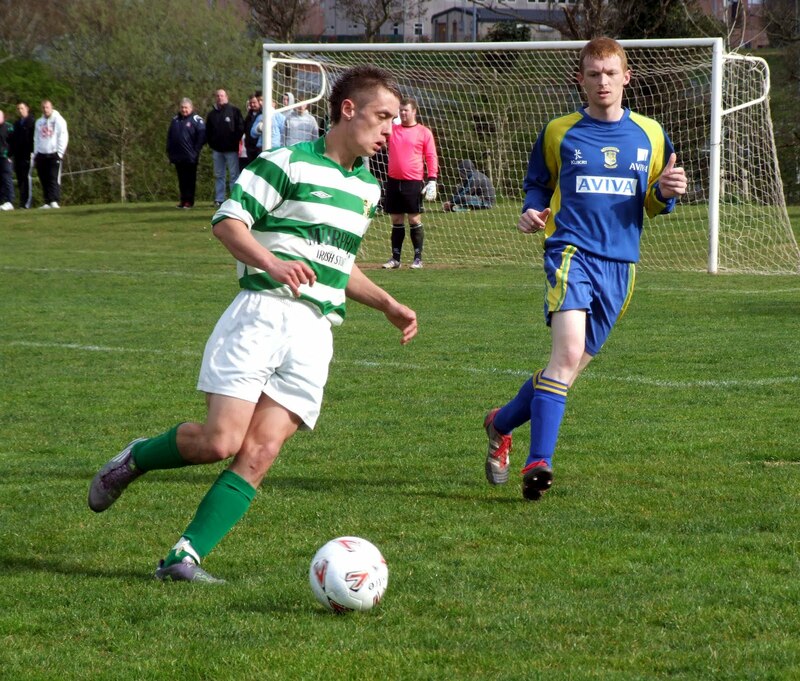 Knockavilla Celtic 2; Greenwood 1 Park Utd 5. Premier A League: Blackstone Rovers 0 Springfield 3; Castleview 1 Kanturk 1; Kilreen Celtic 7 Bohemians 0. AUL 1: Cathedral Celtic 4 Shandon Celtic 2; Watergrasshill 2 Fairview 3. AUL 1A: Greenmount Rangers 3 Donoughmore Ath 1; Millstreet Celtic 2 Glenvale 1; Innishvilla 10 Rathcoole Rovers 1; Grangevale 3 Dunbar Celtic 2. AUL 2: Rylane Celtic 0 Ballinhassig 0; Ballincollig v Blackpool Celtic (off); Waterloo 2 Macroom B 0; CFC Banteer 3 City Wanderers 1; De Courcey Albion 5 Ard Na Laoi 2. AUL 2A: Hibernians 1 Central Rovers 2; Wilton Utd 1 Brooklodge Utd 2. 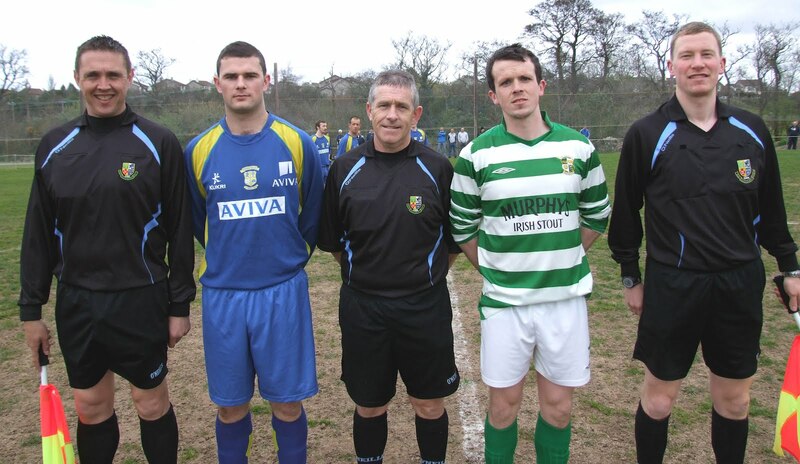 AUL 3: Innishvilla 0 Afton Villa 3; St John Boscos 1 Greenwood 1; Parkview Celtic 3 Passage 1; Hibernians 4 Ballinhassig 4. AUL 3A: Glounthane 2 Glen Celtic 4; Carrigtwohill Utd 2 St John Boscos 2. AUL 3B: Strand Utd 5 Coachford 1; Newmarket 3 Bweeng 0. City Challenge Cup 3rd Round: Douglas Hall 1-0 Hillington. Count Cup 3rd Round: Buttevant A 2-3 Richmond. Coachford AFC would like to extend their condolences to the Martin family on the death of Nicholas Martin. 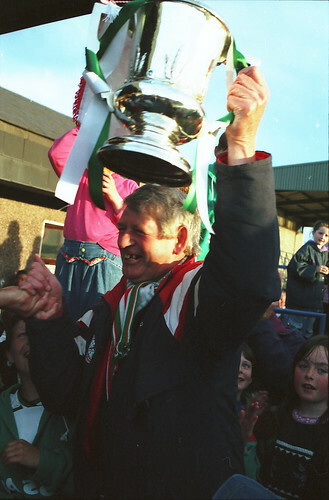 Nicholas was a former player and was the first manager to bring a league title to Coachford AFC in the 1982-'83 season. The John Giles Foundation Walk of Dreams will take place on Monday 7th May. Due to the outstanding success of last year’s inaugural Walk the FAI have decided to extend the event and will be organising 3 Walks in Cork this year. The John Giles Foundation funds community projects to increase sporting participation enhance community cohesion; improve health and education for all. These objectives will be achieved by supporting community programmes, personnel and facilities. All clubs taking part in the “Walk of Dreams” fundraise in their local communities through sponsorship cards with 50% of monies raised going directly to the club and 50% to the John Giles Foundation which will be reinvested in the community. To launch the Walk in North Cork, John Giles recently honoured as the Grand Marshal of the Dublin St. Patrick’ Day Parade, will attend the Hibernian Hotel in Mallow on Monday next 26th March commencing at 7 pm. The organisers of the North Cork Walk are headed up by Eddie McEvoy, of Mallow United, who will be assisted by Members of Buttevant Club including Liam Foley, and the Los Zarcos Club from Millstreet including Ronan Galvin. The organising Committee are expecting representatives from all Schoolboy and Adult Clubs in North Cork to attend Monday’s meeting. The launch of the John Giles Foundation Walk of Dreams 2012 will be held in the Hibernian Hotel Mallow on Monday 26th of March at 7pm. John Giles and Barry Gleeson of the F.A.I will be in attendance at this meeting. All clubs are encouraged to send a representative along to this meeting as it will be of great interest to all clubs wishing to take part in the walk of dreams 2012. If you intend being in attendance can you please log your interest at tonyfitzgeraldsoccer@hotmail.com or text 087-7936611. Passage AOH No 4 Jun 94 R204 (2), a photo by CorkBilly on Flickr. 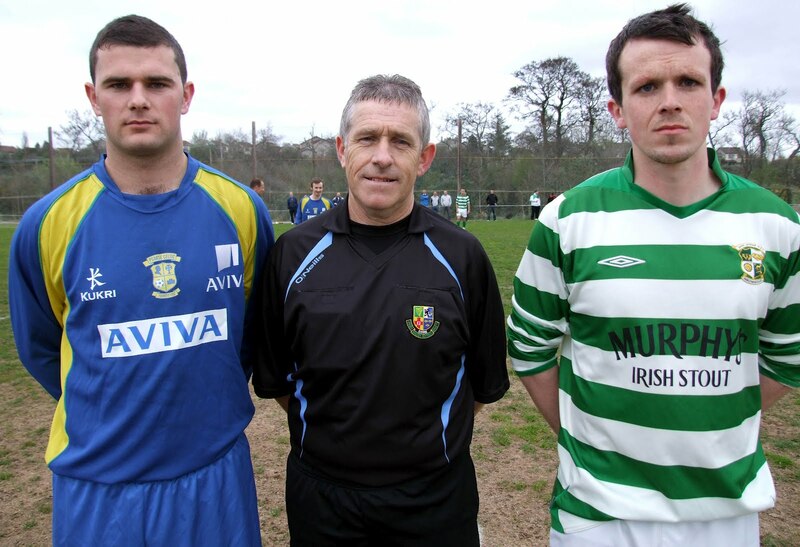 The St. Michael's Cup Final between Glen Celtic and Knockraha will be held at Turner's Cross on Thursday, 5-Apr-12 at 7.30pm. The President's Cup Final between Hillington and Knocknaheeney Celtic will be held at Turner's Cross on Saturday, 24-Apr-12 at 7.30pm. The AOH Cup Final will be held in Turner's Cross on Friday, 11-May-12 at 7.30pm. GRATTAN UNITED are looking for a friendly on Sunday morning. Murphy Cup third round: Ringmahon Rangers w/o Riverstown scr., Knockraha w/o Park United scr., Springfield Ramblers 1 College Corinthians 6, Innishvilla 3 Passage 4, Carrigaline United 0 Leeds 6, Richmond 1 Douglas Hall 3, Ballincollig 2 Wilton United 1. Corinthians Cup Quarter Final: Waterloo 0 Grangevale 2; Donoughmore Ath 2 Carrigaline Utd 5; Killowen 1 Park Utd B 1 (Park won 5-4 on pens aet); Fairview 4 UCC A 3 (aet). 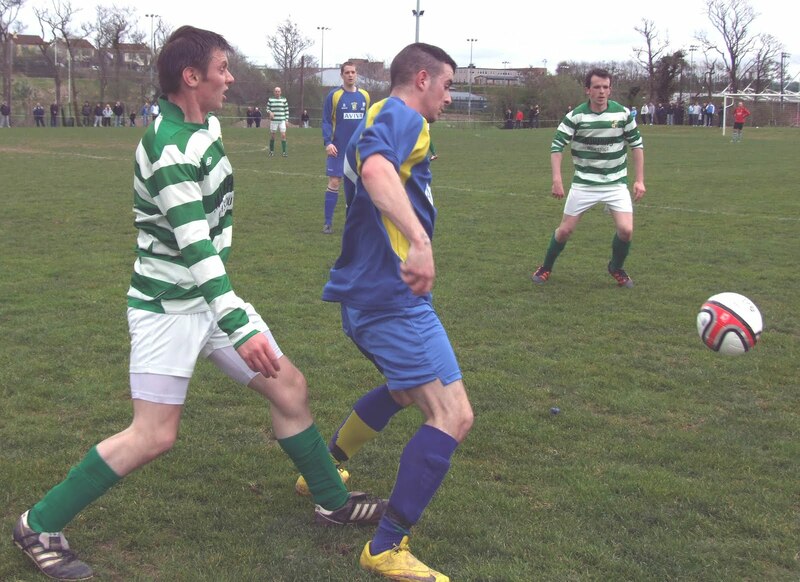 Watergrasshill Utd 2; Millstreet Celtic 0 Leeside B 2. Premier League: Wilton Utd 1Kinsale 1; Knockavilla Celtic 1 Blarney St Ath 4; Macroom 1 Leeside 4. Premier A League: Grattan Utd 1 Kanturk 6; Castleview 3 Bohemians 1; Kilreen Celtic 1 Blackstone Rovers 0. AUL 1: Shandon Celtic 2 Buttevant 2; Crescent Ath 2 Dillons Cross 1; Cathedral Celtic 1 Knockraha 1. AUL 1A: Glenthorn Celtic 1 Glenvale 4; Greenmount Rangers 2 Dunbar Celtic 0. AUL2: Macroom 4 CFC Banteer 1; Ard Na Laoi 1 De Courcey Albion 0; Rylane Celtic 3 City Wanderers 1; Casement Celtic 2 Blackpool Celtic 1. AUL 3: Innishvilla 1 St John Boscos 1. 31st March / 1st April. Interesting reading! cl.ly/F6RM The Cornerstone Cellars Press Compendium. See what everyone is saying about us!